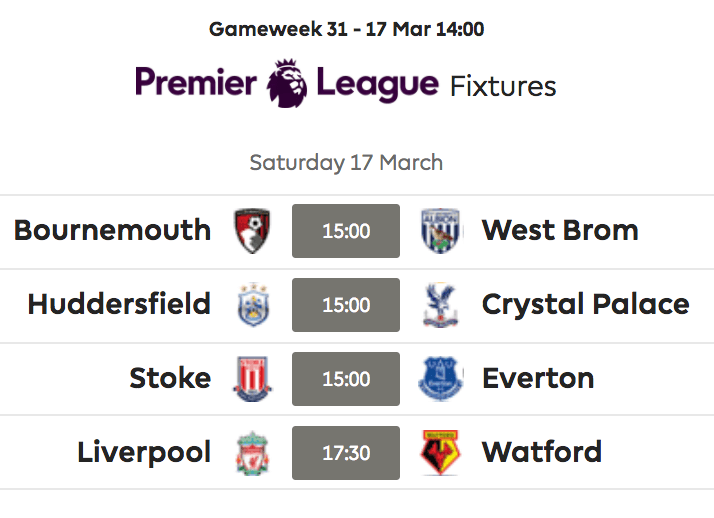 Welcome to Barry and Paul’s Predictions GW31. It’s always nice when a player pops up with the first goal of the game-week that people simply did not see coming. Anyone have Marcus Rashford? No me either. Rashford scored the first goal in Man Utd 2-1 win; he then grabbed the second, as if to drive home the point. Other notable results were Swansea grabbing a 0-0 despite playing with 10 men for almost the full match, Chelsea chucking away a clean sheet at the death (2-1) and Arsenal finding their cojones not once, not twice but three times, not to mention Troy Deeney losing his. 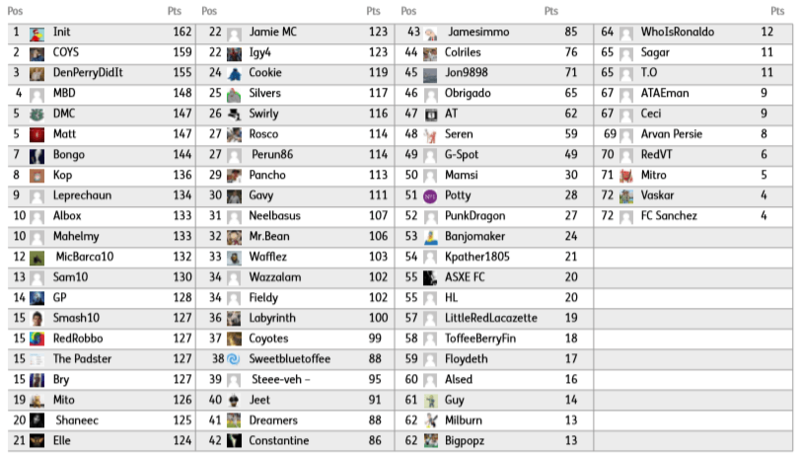 A tie at the top this week, Igy4 and Labyrinth both finished on 12pts. It was a close ran affair, with third place also shared, Mahelmy, Sam10, Jamie Mc and our very own boy-wonder; AT, who all finished up with an almost winning 11pts. Init continues to go from strength to strength in both FPL and here at B&P’s; he’s still top, can he be beaten? Keep trying folks! Congrats to Igy4 and Labyrinth, please contact FF247 at contact@fantasyfootball247.co.uk to get your hands on that FF247 t-shirt. The rules are few; 1 entry per person, and all entries must be submitted prior to the first game of the game-week. Kick-off this week comes on Saturday at 3pm. Once all the games have been played, we’ll count up the scores and the winner(s) will be announced in the following weeks competition article. After winning last week, I nearly missed the deadline!